Feature:The Black belt show as picture is included. 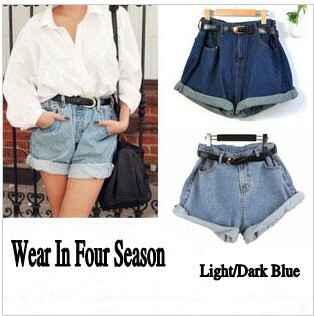 Pls kindly noted this Shorts is pretty big and very Loose Fit. Another thing is that you need make the turn up feel by yourself. Feedback is very IMPORTANT for us.If you are satisfied with our items ,Pls give us five star feedback.If there is any problem ,Pls feel free to contact us! We can solve for you.